If you've read my blog for a while you'll probably know I'm a huge candle fan, I'm just obsessed and literally have a candle burning everyday in my house because not only does my house then smell amazing everyday but I find candles are just so inviting and homely. I've recently been testing out the Forbidden Fruits Trio by Partylite so of course I thought I'd share my thoughts with you all today. The Partylite Forbidden Fruits Mini Jar Trio* (£24.95) is as you'd expect gorgeously fruity and exotic smelling making them perfect to burn at this time of year. The three wax candles come in gorgeous decrotaive glass jars that can easily be reusing as either a makeup brush holder, cotton bud holder or for my cotton wool pads, but to be honest the list is endless for the amount of uses the jar's have. The first candle within the trio is Pomegranate Passion, this has an obvious pomegranate scent but I also get hits of raspberry, apple and vanilla whilst burning this one, it's super yummy. Next we have Blackberry Boudoir, this has rich, deep wild-berry notes and it's quite woody and musky too. Lastly we have Fig Fatale, I love any candle with a fig scent as they just smell incredible and this ceratinly doesnt dissapoint, it also has that velvety vanilla kick to it which is really nice. Each candle has a burn time of 20-30 hours and really throws out a good amount of scent, literally miutes after lighting these candles the scent starts wafting through my entire house and you can really smell it without it being too strong or overpowering. I tend to burn each candle for around 2 hours and I find thats enough for the scent to linger in my house for hours afterwards which is a major bonus and means you get so many uses out of each candle. Overall Im so impressed with the Partylite Forbidden Fruits Mini Jar Trio, they really feel and look like such luxious candles and make my house smell absolutly amazing! 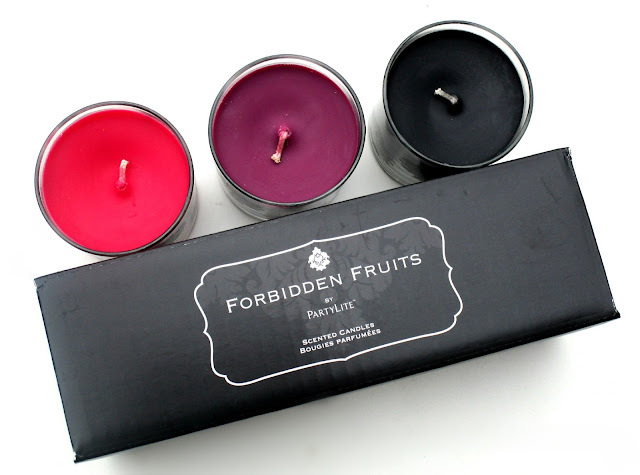 You can find the Partylite Forbidden Fruits Mini Jar Trio along with the rest of the Forbidden Fruits Collection HERE. I'm such a candle fan, and these sound beaut! 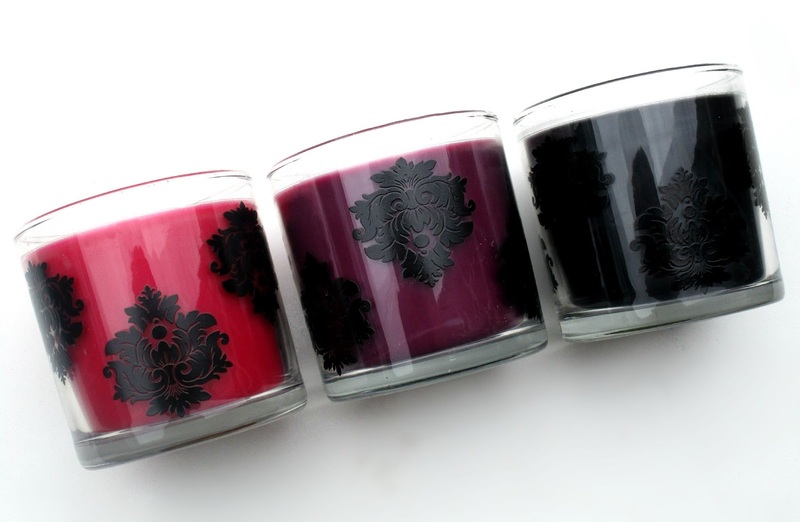 I love candles and these look and sound gorgeous!